So my week on this project is drawing to a close. I hope you have enjoyed the things I have posted and talked out and that I have maybe given you an insight into my world as someone who is not only a quilter, but also someone who works in the quilting industry. Our world is a very specialised one and those not in it may wonder what is so fascinating about cutting fabric up and sewing it back together again! But it is a world I love being a part of and I couldn't imagine it any other way. Can you imagine walking around and not noticing or being inspired by the world we live in; whether it's the colours of a wonderful sunset, a flower or a wrought iron gate. It must be a very dull way of living! A big thank you to everyone who has liked and commented on my posts over the last seven days. Don't forget to follow me on Instagram or my blog. And good luck to quilter #7! 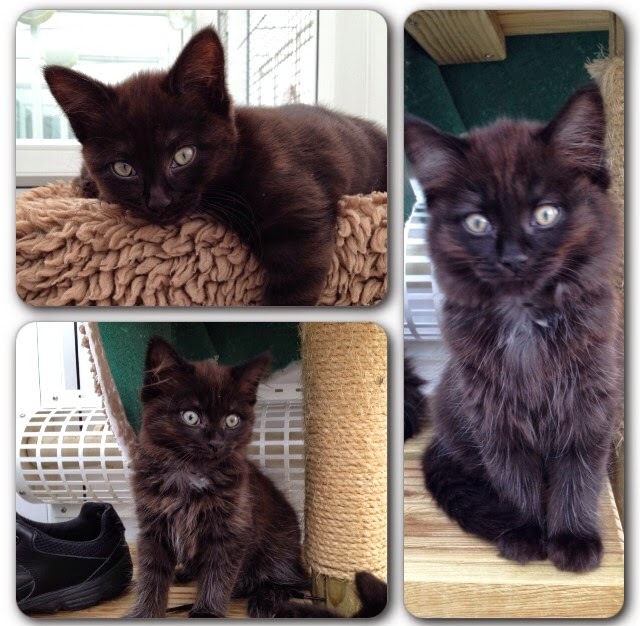 I'll leave you with a gratuitous kitten photo when we first saw our little bundles of mischief! I have enjoyed Week 6 Joanna! It was interesting to see a little behind the scenes peek at the quilting publishing industry. What a fun job you have!